EA Sports has confirmed to Kotaku that NBA Jam: On Fire Edition will be getting a roster update. 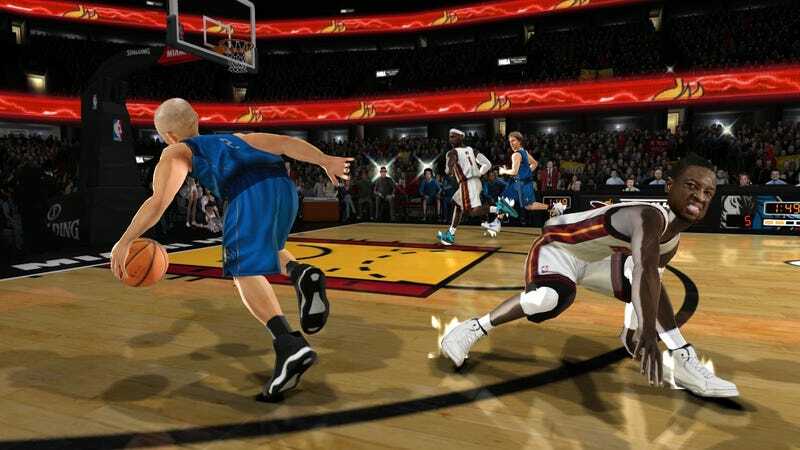 The publisher's preceding silence on the subject had led some to believe it had abandoned post-release support for the 2-on-2 arcade basketball game. Responding to a Kotaku request for comment, an EA Sports spokeswoman said that's not the case. "We will be providing roster updates for NBA Jam: On Fire Edition this season." She didn't say when or how many, specifically, adding only "more information to come." NBA Jam: On Fire Edition shipped Oct. 4, two months before the end of a lockout that had essentially frozen video game rosters at their 2010-11 season makeup, without any rookies from the June draft. A frenetic free agency period has rearranged the top stars on many teams, while Jam's rosters have remained static to this point.